Quickly visualize account structure including Accounts Member Organizations. View Opportunities with totals per sales stage, Quotes, Invoices and Contacts for an account and its members. From a single page, get a complete picture of everything happening for any of your accounts. 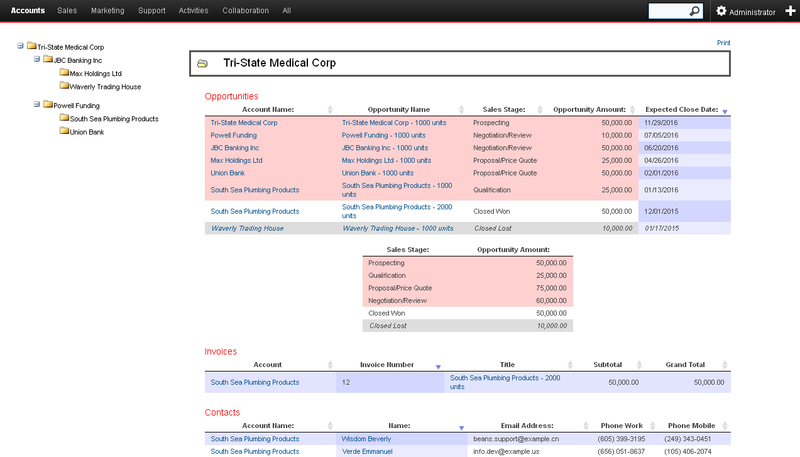 Drill down into member accounts or see total opportunities, quotes, invoices, and contacts.